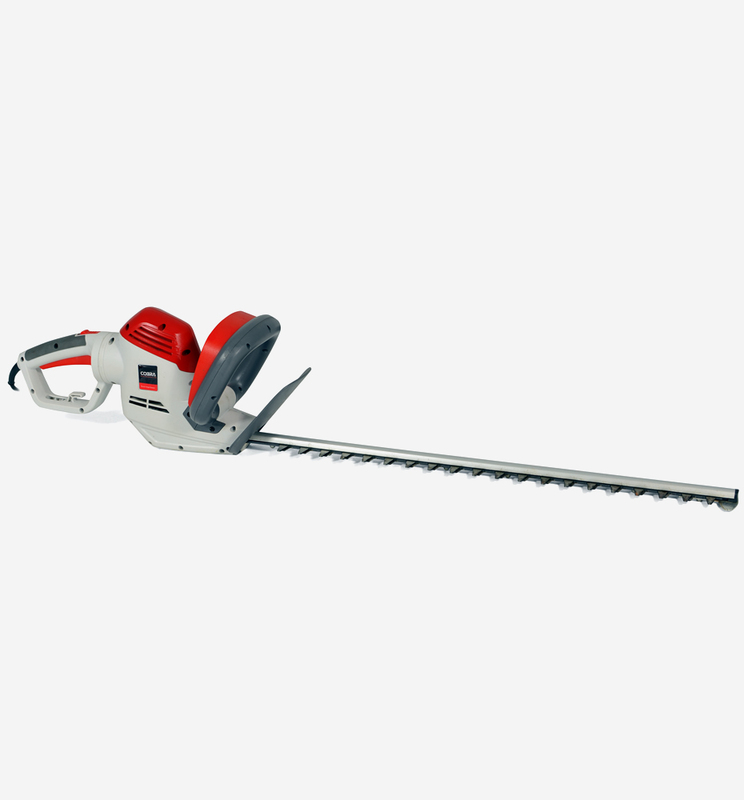 The Cobra H60E 710w electric hedgetrimmer is built to tackle the most demanding jobs with its 60cm double sided blade. 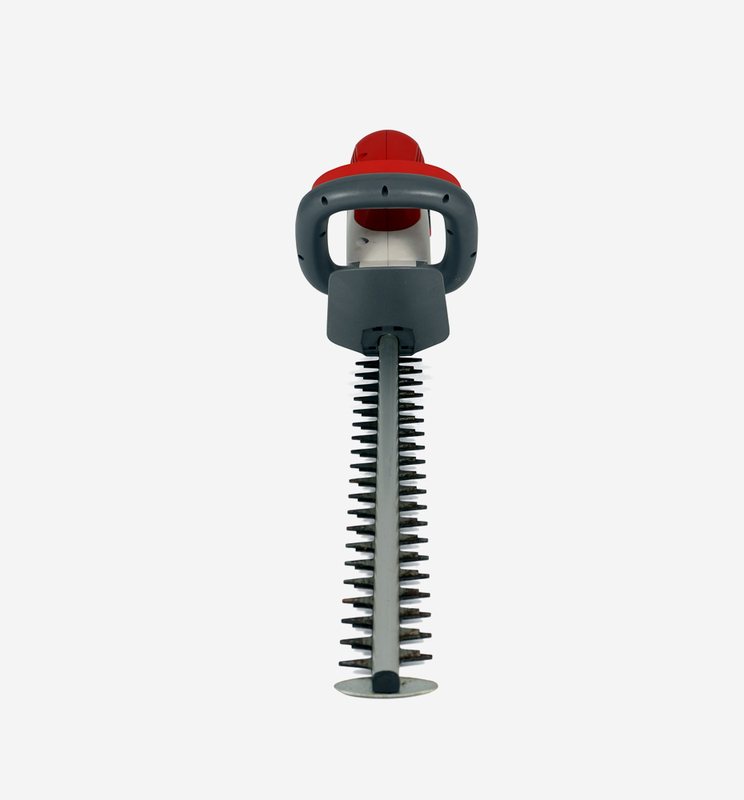 With a tooth spacing of 24mm and a rotary handle the H60E will make light work of hedges. 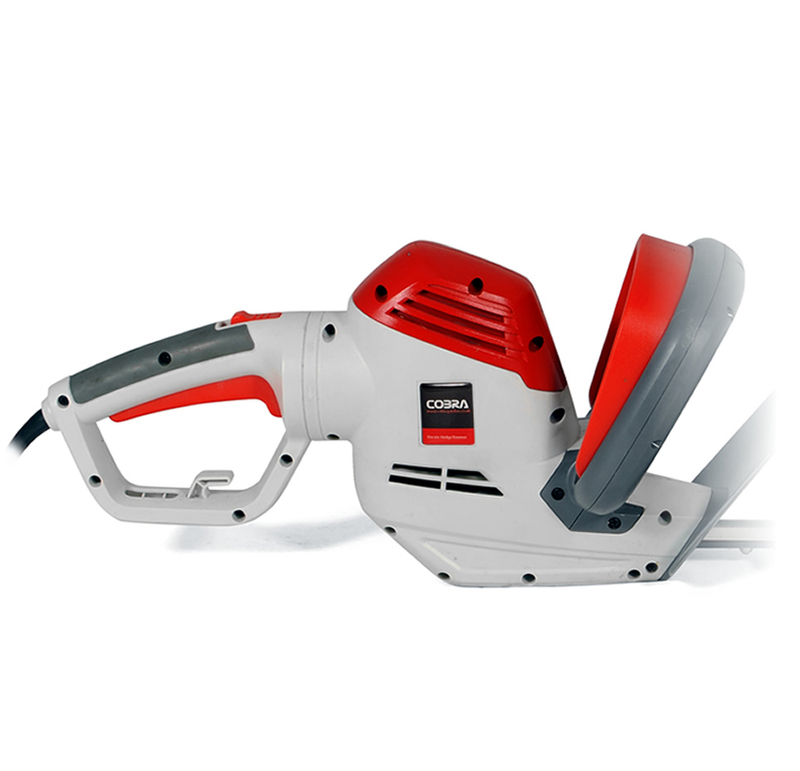 The H60E electric hedgecutter from Cobra comes with a 60cm double sided reciprocating cutting blade, with a large 20mm tooth spacing. 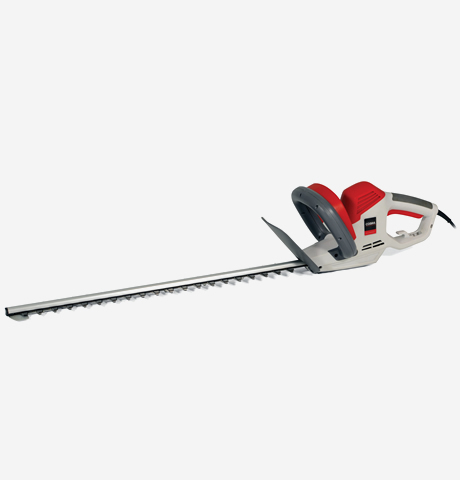 hedgecutter is is perfect for domestic gardens. 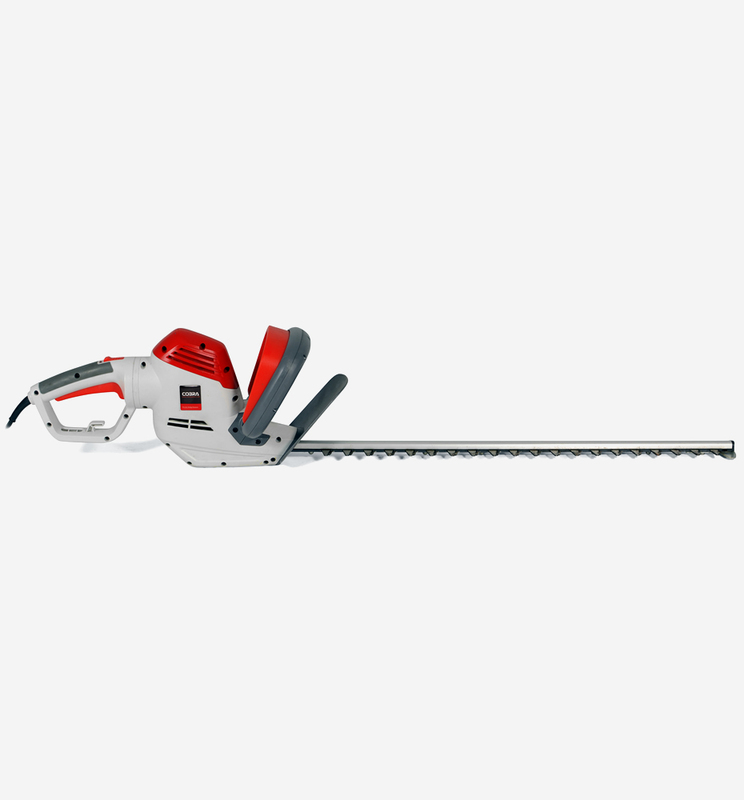 The Cobra H60E electric hedgecutter is ideal for quiet trimming and cutting of hedges and bushes around your garden. Thanks to a high blade speed and generous tooth spacing the Cobra H60E cuts smoothly and efficiently. 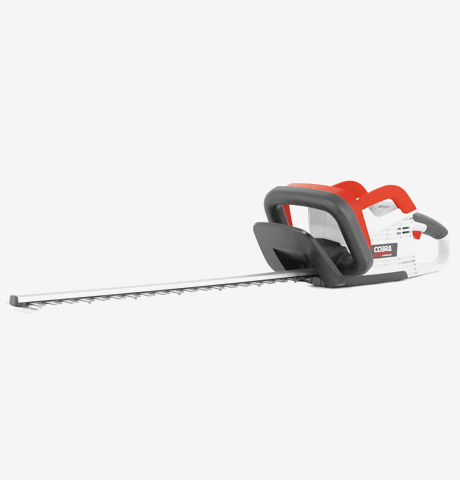 It's lightweight design ensures you can cut for extended periods, whilst its front handle makes swapping from vertical to horizontal cutting a breeze. 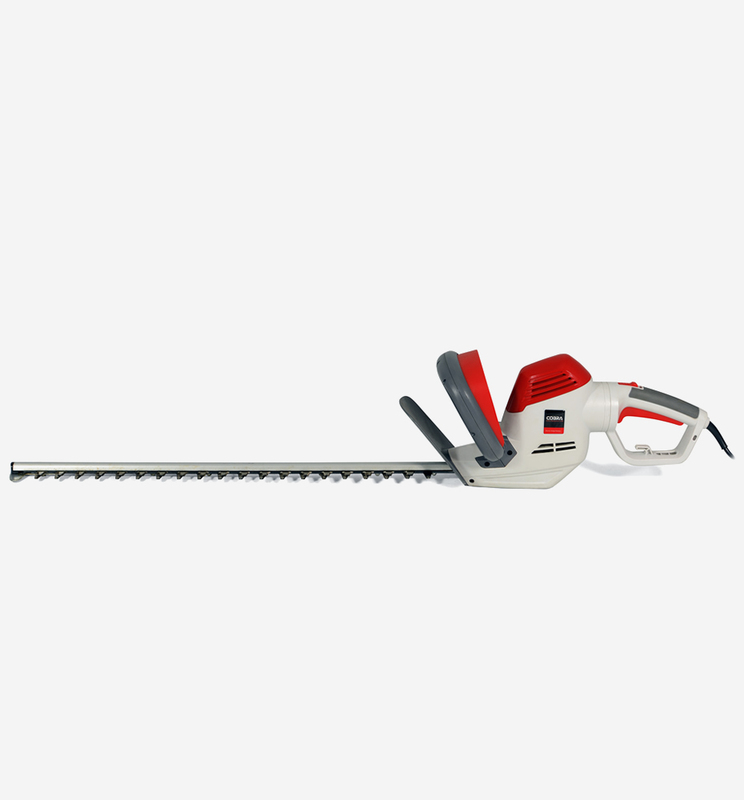 The Cobra H60E has been designed to make cutting your hedges and bushes a simple and effortless task. 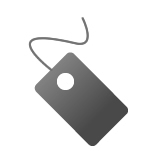 a variety of angles with comfort and control. 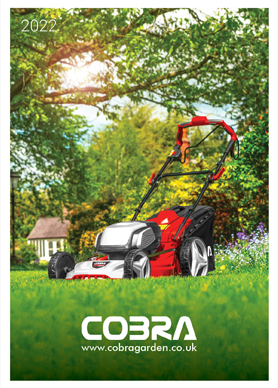 The Cobra H60E comes complete with an impressive 10m cable to ensure that you can reach all corners of your garden without the need for extra help. 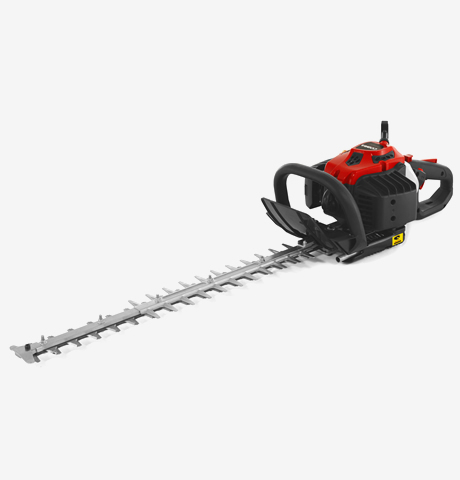 Driven by it's powerful 710w motor, the Cobra H60E electric hedgecutter makes short work of domestic tasks. 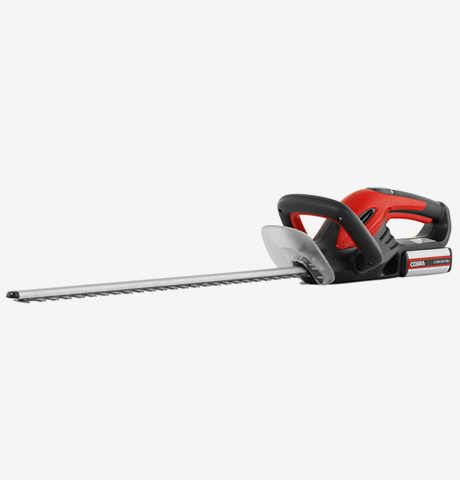 The 710w motor enables the H60E to effortlessly cut through foliage thanks to it's strong cutting performance and incredible blade speed. Cobra puts the power in your hands.